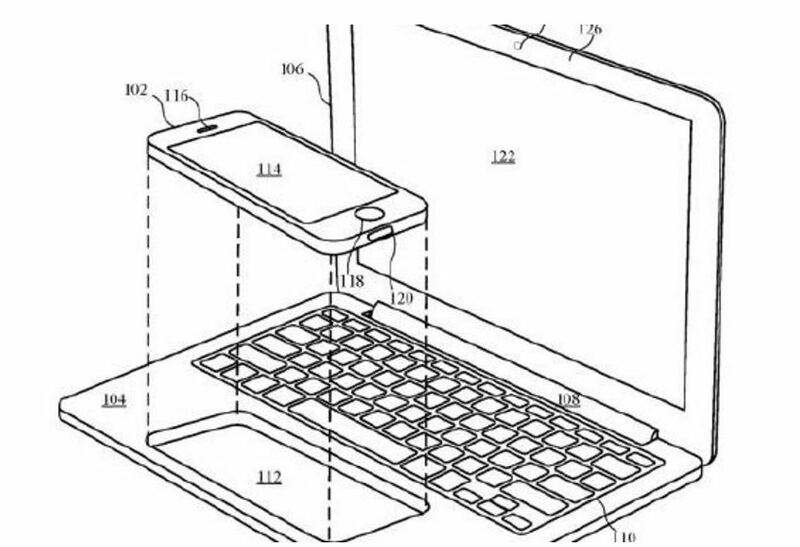 Apple has recently filed for a patent that can possibly turn any iPhone or iPad into a full-fledged MacBook. This kind of a feature was first made possible by Microsoft’s Lumia phones that, when connected to an external monitor, could be used as a mini-Windows system. But Apple’s approach is a tad different. According to the images shown in Apple’s application to the U.S. Patent and Trademark Office, there are two diagrams that show fittings for either an iPad or an iPhone. In the case of an iPhone, there is a fitting made in the shell (which is made to look like a MacBook) where the iPhone can be fitted and used as a trackpad. With the case of the iPad, the shell’s display will be the iPad itself docked in the shell. The shell itself could house various important aspects of a laptop such as the necessary ports, external graphics and processing power as well as storage and memory, including a keyboard as well. The host devices, in this case, the iPad or the iPhone will be connected to the shell via Lightning or Bluetooth. The devices themselves will also be functional exclusively to the whole set-up, with the iPhone taking the place of the trackpad and the iPad replacing the traditional screen. In fact, the iPad’s touchscreen could make it possible for users to use touch controls for the first time on a MacBook’s screen, which is something a lot of fans have been waiting for. According to PC Mag however, the possibility of the system running Mac OS seems unlikely since it will draw the software features of the iPad or iPhone, making it the first laptop to come with iOS. Having said that, why would users go through the trouble of buying the shell with its extra fittings and ports if they’re just going to be using a glorified iPad? Buyers would rather just purchase an external Bluetooth keyboard and connect it to their iPad or iPhone instead, saving money. So, it can be assumed that Apple has likely thought of this and probably has a different idea in mind, perhaps enabling the shell to host a part of the Mac OS as well. How that will be used in conjunction with iOS is an interesting prospect. Apple is reportedly making this platform a stage for the iPad to strut its stuff since its large display is the only thing it has going for itself. In order to secure more sales and make it more appealing to the educational market, the company possibly may want to tap into as much functionality as it can get out of the device. 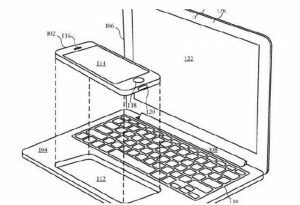 Apple has never made a hybrid kind of device before, so if this patent does materialize, it will probably contend with the likes of the Chromebook, Yoga, Surface Pros and other like-sized devices in the market currently.